(NaturalNews) Milk from dairy cows contains the protein s-lactoglobulin (BLG) which is not present in human milk. As it is a major milk allergen, an attempt at decreasing BLG by genetically modifying cows has gained much attention recently. According to researchers in a recent study, “analysis of hormonally induced milk from [these calves] demonstrated absence of BLG and a concurrent increase of all casein milk proteins.” It is believed that if bred in sufficient numbers, this type of genetically modified cow could one day provide milk for allergic infants and adults. In what seems like an attempt to distract us from the true dangers of milk, popular media and scientific sources like the one above are focusing our attention on the rare condition of milk allergies in an attempt to justify genetically modifying cows. Yet, only four percent of people are allergic to cow’s milk and doctors claim that most babies eventually outgrow this allergy. It remains clear; however, that the complications of milk consumption continue well into adulthood. It is reported that nearly 50 percent of the world’s population is lactose intolerant after childhood and that symptoms include bloating, pain or cramps, gas, diarrhea, and vomiting. If someone feels ill after consuming a dairy product once, they probably do not have lactose intolerance. However, if symptoms persist after continued dairy consumption, then the likelihood toward lactose intolerance is much higher. Humans do not have the enzymes to properly digest milk proteins like BLG and casein, it is no wonder why most people suffer after drinking milk. In addition to these deleterious effects of drinking cow’s milk, it is important to note that all of American milk is genetically contaminated by bovine growth hormone (rBGH) to increase production unless it is clearly labelled “NO rBGH.” Monsanto Co., the manufacturer of rBGH, has influenced U.S. product safety laws permitting the sale of unlabeled rBGH milk. rBGH increases the rates of 16 different harmful medical conditions in cows, and there is substantial scientific evidence that it may increase antibiotic resistance and cancer rates in humans. 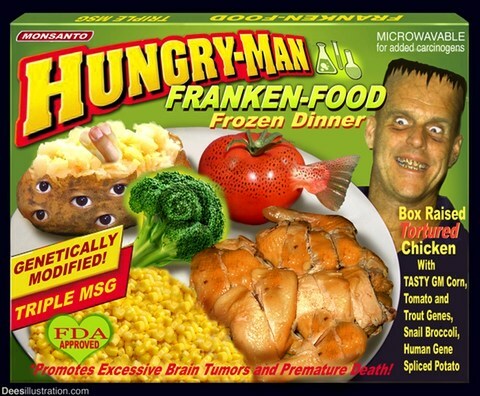 The product is already prohibited in Canada, Japan, Australia, New Zealand, and in the 27 countries of the European Union and the Codex Alimentarius, the U.N.’s main food safety body, concluded there was no consensus that it’s safe for human health. Whether considering GMOs or undigestible proteins, the risks associated with drinking processed cow’s milk far outweigh any benefits that may be gained from consuming it. 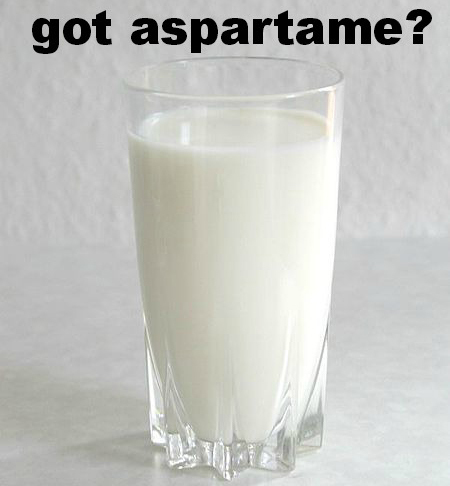 Years and billions of dollars have been spent to indoctrinate our nation into thinking that “milk does a body good” and that our main source of calcium should come from it. Yet, it is commonly recognized that the best sources of calcium are green, leafy vegetables like spinach, kale, okra, and collards. Culinarily speaking, cow’s milk can easily be substituted with coconut or almond milk; both of which provide a creamy texture and are usually quite tasty depending on the brand. Eric is a peer-reviewed, published researcher. His work on heart disease and autism has been accepted internationally at various scientific conferences through organizations like the American Public Health Association and Australian-based Baker IDI Heart and Diabetes Institute. Visit his blog. Track his work on facebook. Read Eric’s other naturalnews.com articles. TEXCOCO, Mexico (AP) — The research center largely responsible for launching the “green revolution” of the 1960s that dramatically raised crop yields is getting support from the world’s richest men to develop genetically-modified seeds to help farmers in the developing world grow more grain in the face of a changing climatic conditions and increased demand. 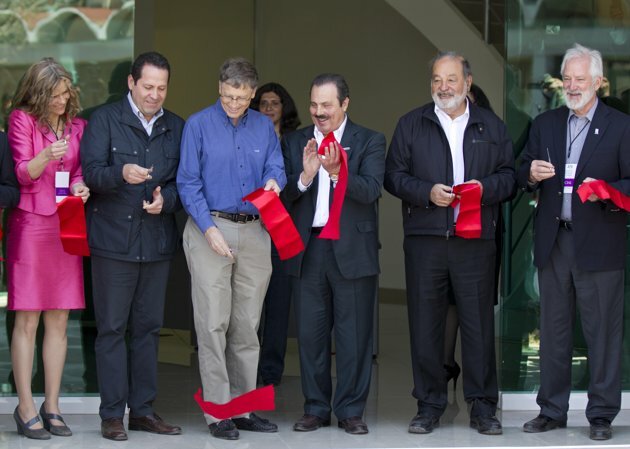 Microsoft founder Bill Gates and Mexican telecom magnate Carlos Slim donated a total of $25 million to build a new cluster of biotechnology labs at the International Maize and Wheat Improvement Center in Mexico. The facilities include hothouses “with high-efficiency air particle filters and a water treatment plant to prevent pollen and genetically modified material from escaping to the outdoors,” according to a statement by the billionaires’ foundations. Both of the philanthropists were on hand for Wednesday’s inauguration of the new labs at the research center, known as CIMMYT, located just east of Mexico City. It was yet another coming of age moment for GM crops, because the nonprofit CIMMYT has become known over the last 50 years for providing low-cost, improved seeds through hybridization efforts, using its vast stockpiles of native corn and wheat genes from across the world to cross-breed the best attributes, like drought-resistance. But increasingly, genetic splicing is joining the older technique of cross-pollination as “one of the tools in the toolbox,” said CIMMYT Director Thomas Lumpkin. While Lumpkin claimed that even hybridization represents a sort of genetic modification by selective planting and breeding, he noted that CIMMYT hasn’t shipped any true GM seeds yet, and acknowledged that some countries might have concerns. Gates noted there are “legitimate issues, but solvable issues” around wider GM crop use, and that solutions could include distributing GM crops that are patented but require no royalty payments. That alone would be a big change in the spread of GM crops, which up to now have been largely controlled by a few big biotechnology and agricultural companies that charge steep rates for GM seed and sue any farmer who uses, even accidentally, their patented GM traits, like pest resistance. CIMMYT, with its ties to farm agencies throughout the world, could be a conduit to deliver GM benefits to the developing world, which has largely been locked out of them. GM traits could be developed by the center and donated, or they could be bought cheaply. That’s where Gates and his foundation could come in. With his help CIMMYT, which is known for charging farmers as little as possible, could pick up some of the older traits for low prices. “Some of these traits are getting near the end of their patent life or are available from multiple entities, so that there’s even some competition there,” Gates noted. Lumpkin said farmers may be scared by the legal risks of GM crops, noting “you can have a law suit of a million dollars” for unauthorized use of patented crops. “Why can’t these poor farmers have these same traits that have been used for 15 years in the developed world?” he asked. Still national sensitivities in Mexico, where the CIMMYT was founded in 1963, are still strong. Mexico is the birthplace of corn, and concern that GM crops might displace or contaminate genetically-valuable native strains have so far held up large-scale planting of GM corn in Mexico, even as the country has been forced to import about half of its basic grain consumption. “These (GM) seeds are not any kind of magic wand for increasing production, and they bring new problems to the countryside,” like developing resistance among pests and weeds, Lara said. Lumpkin noted that CIMMYT is already doing some GM corn research in Africa, but not in Mexico. “We are doing some research here with wheat, which is not such a sensitive issue in Mexico,” he said. Lumpkin warned that the world could face a recurrence of the kind of crisis that CIMMYT was able to stave off 50 years ago, this time brought about by new plant diseases, climate change, water shortages and increasing consumption of grain-intensive foods, like meat. “On one hand, there is rapidly increasing demand … on the other hand, conditions for producing this food are deteriorating rapidly,” he said. McDonald’s serving up ‘restructured meat technology’ – you want fries with that? (NaturalNews) Well, it’s that time of year again when McDonald’s rolls out its venerable McRib sandwich. Tens of millions of Americans will purchase one – or, judging by the nation’s ever-widening belt line, several – but most will do so without knowing all they should know about this popular sandwich. A sandwich ‘built’ from scratch? : The McRib is a product of Rene Arend, who came up with the idea and design of the sandwich. That said, Richard Mandigo, a professor from the University of Nebraska, who developed the “restructured meat product” that the McRib is actually made of. Restructured meat products are commonly manufactured by using lower-valued meat trimmings reduced in size by comminution (flaking, chunking, grinding, chopping or slicing). The comminuted meat mixture is mixed with salt and water to extract salt-soluble proteins. These extracted proteins are critical to produce a “glue” which binds muscle pieces together. These muscle pieces may then be reformed to produce a “meat log” of specific form or shape. The log is then cut into steaks or chops which, when cooked, are similar in appearance and texture to their intact muscle counterparts. … Such products as tripe, heart, and scalded stomachs are high in protein, completely edible, wholesome, and nutritious, and most are already used in sausage without objection. Packed with calories – and ingredients: In a time of labeling, when government entities and the public are pushing for more disclosure, the package for the McRib would have to grow just to list all of its ingredients. According to the current box labeling, the sandwich consists of just five basic components – a pork patty and BBQ sauce with pickle slices, onions and a sesame bun. But, as Time magazine points out, a closer examination of McDonald’s own list of ingredients reveals that the sandwich contains a total of 70 ingredients, including azodicarbonamide, a flour-bleaching component that is often used to produce foamed plastics (think gym mats and the soles of shoes). In fact, “the compound is banned in Europe and Australia as a food additive,” says Time. Other ingredients include ammonium sulfate and polysorbate 80. Besides, the sandwich itself contains an incredible amount of calories – 500 at least – along with 26 grams of fat, 44 grams of carbohydrates and 980 milligrams of sodium, nearly half the recommended daily amount of about 2,400 milligrams. Not a good choice for your heart: The ingredients, combined with a dose of 10 mg of saturated fat (nearly half of the recommended daily allowance), make the McRib an enemy of a healthy heart, say the experts. That’s a very valid question. In the meantime, that sound you hear is the further tightening of the nation’s belt line. Monsanto Co. (MON) (MON), the world’s largest seed company, projected third-quarter profit that exceeded analysts’ estimates after sales rose in the U.S., Brazil and Eastern Europe. The company also boosted its full-year forecast. Profit will be $1.57 to $1.62 a share in the three months through May, excluding costs from a legacy tax matter, St. Louis-based Monsanto said today in a statement. The forecast topped the $1.29 average of 16 estimates (MON) compiled by Bloomberg. Monsanto said earnings in the year through August will be $3.65 to $3.70 a share, excluding the tax issue, settlement of pollution claims and discontinued operations. The company in April forecast (MON) $3.49 to $3.54, while the average of 17 estimates was $3.56. Earnings were $2.96 a share in fiscal 2011. Unusually warm weather in the northern hemisphere during the fiscal second quarter turned out to be only partly responsible for rising sales this year, Chairman and Chief Executive Officer Hugh Grant said today on a webcast. Demand for the newest insect-fighting corn seeds exceeded projections, while new herbicide-tolerant soybeans are at the top of the expected range as farmers realized the value of those technologies, he said. Monsanto rose 2.2 percent to $76.41 at the close in New York. The shares (MON) have gained 9 percent this year. Monsanto saw higher third-quarter sales of genetically modified corn in Brazil, soybeans and corn in the U.S., and recorded better-than-expected gains in Eastern Europe, it said. Grant said he expects the company will increase earnings by a percentage in the “mid-teens” in fiscal 2013. Monsanto said free cash flow in the current fiscal year will be $1.7 billion to $1.8 billion, narrowing an earlier range that dipped as low as $1.6 billion. Monsanto is in talks with officials in China about boosting seed production, particularly corn and vegetables, as part of the company’s international expansion, Grant said on the webcast. Monsanto can’t own more than 49 percent of a biotech seed business in China, the world’s second-biggest corn grower, because of the industry’s strategic importance, he said. 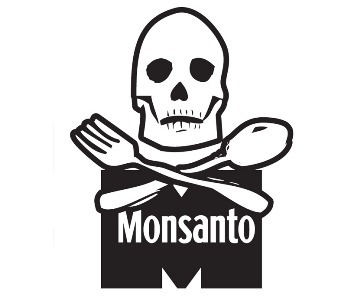 Monsanto’s Food and Drug Administration can’t close down small dairies and private food clubs fast enough, bursting on the scene with guns drawn as if the criminalized right to contract for natural foods we’ve consumed for millennia deserves SWAT attention. Without funds, they will be unable to make purchases for the spring planting. When a similar action was taken against Taylor’s Produce Stand last year, the feds seized $90,000, dropped the charges, and kept $45,000 of Taylor’s money. Knowing that most farms operate on a very thin margin, such abuse of power wipes out a family’s income, and for a bonus, the feds enhance the monopoly power of Monsanto, Big Dairy and their supply chain. 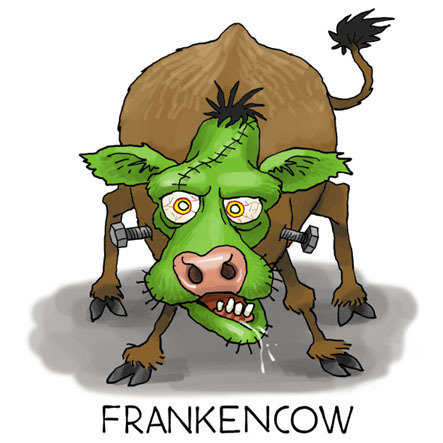 You can just smell attorney Michael Taylor behind all this, Obama’s dairy dog. Who you’ll find, instead, is US district attorney Stefan Cassella. He’s the first to head the DOJ’s Asset Forfeiture & Money Laundering Section, created in 2009, having wrote the books on it. He cut his teeth on seizing $1.2 billion from real money launderer, BCCI. Guess his focus has changed since then. Funny, Bank of America, Goldman Sachs, and other criminal banksters are still in operation, despite committing millions of acts of fraud during mortgage reassignations. But the DOJ prioritizes squashing family farmers since it’s easier to pick the low-hanging fruit than do battle with well-financed criminals who’ve illegally seized the homes of millions of US citizens. The Bank Secrecy Act was modified* after 9/11, another in a long line of Constitutionally-abhorrent laws enacted by officials who cannot prove they were elected to office (given those elections were held on electronic voting systems that can be hacked without leaving evidence of the crime). With the current Administration’s Agenda 21 focus on destroying the natural food and herb industry, is it not unsurprising to see unconstitutional terrorist legislation used on innocent, law abiding citizens?